Summer just began and you are hopefully basking in your freedom from law school though you should keep in mind that September (and classes) will be upon you before you know it. Former Reed Smith tax partner, James Kleier is also hopefully soaking in his freedom, since he is expected to begin serving a one year sentence in prison in September. Kleier's tax law work in big law firms including Preston Gates & Ellis, Reed Smith, and Morrison & Foerster in addition to his work as the American Bar Association Section of Taxation's Chair of the Special Project Task Force of the Administrative Practice Committee and past Chair of the San Francisco Bar Association's Barristers Club Tax Section and including his role as a tax professor at Hastings and Golden Gate make it all the more shocking that Kleier will be facing prison time for federal tax evasion. Now my advice for those who die - Taxman! Declare the pennies on your eyes - Taxman! Be grateful that your plans for September do NOT involve surrendering yourself to the authorities. Marijuana Policy: Lessons from Tobacco? In the "Perspective" section of the New England Journal of Medicine, two public health specialists suggest that regulators can learn some lessons about how to treat marijuana from experience with the tobacco industry. Kimber P. Richter & Sharon Levy, Big Marijuana — Lessons from Big Tobacco (June 11, 2014). This might interest you if you're following Washington's (and Colorado's) new marijuana laws. A broader lesson is that lawyers and legal scholars can find many useful policy pieces in non-legal journals. For example, the New England Journal of Medicine has been covering the implementation of the Affordable Care Act, as well as other topics. You can sign up to get NEJM tables of contents in your email, and UW users have access to the full text. For more on research health law and policy, see our Health & Medicine guides. Under RPC 1.2(d), a "lawyer shall not counsel a client to engage, or assist a client, in conduct that the lawyer knows is criminal . . ." Does this cover lawyers advising clients under Washington's new marijuana law, when possession is still a crime under federal law? At least until there is a change in federal enforcement policy, a lawyer may counsel a client regarding the validity, scope, and meaning of Washington Initiative 502 and may assist a client in conduct that the lawyer reasonably believes in permitted by this initiative and the statutes, regulations, orders and other state and local provisions implementing them. Anyone may comment on the proposal and, as the court receives comments, you can read what others have sent. You can sign up here to get email notifications of proposed court rule changes. You can also sign up for new opinions, caseload reports, and other information from the Washington Courts. While it is unlikely that the Headnote of the Day will significantly help you with your work (the blog does state that they “offer the Headnote of the Day as a diversion; the point of law it contains may no longer be good law”), it might brighten up an otherwise gloomy Friday! TGIF and congratulations to all of our UW law students for surviving the year! The Law Library and the Reference Office will be closed from Saturday, June 14 through Tuesday, June 17. The Reference librarians will respond to your requests and questions beginning again at 9am on Wednesday, June 18. From the Introduction: "Drafting and adopting a constitution is more than a legal process. It is a journey of self-discovery and reflection. A successful constitution is one that reflects both a community's vision of itself and the rules by which a community agrees to govern itself over time." 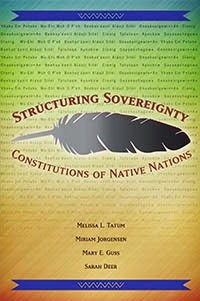 The book's goal "is to guide the reader to an understanding of the purpose of a constitution and the particular components necessary to achieve that purpose." An electronic appendix provides the complete text of excerpted and other constitutions. The appendix is linked in our catalog record or can be directly accessed here. One of the first things law school students learn is how to properly cite legal authority. Bluebooking is difficult to learn and time consuming to practice. Surprisingly, a few law students develop a love for the Bluebook after years of torture in some form of Bluebook Stockholm Syndrome. The Bluebook, in a complex way, standardizes citations which is a huge value to legal research and scholarship. But it is time to think beyond the Bluebook and start moving citation into a digital age. Universal citation is one small step that needs to be taken to move legal citation beyond its print origins. Consider a Bluebook formatted court opinion citation. Looking at Bluebook rule 10 would yield a citation such as Palsgraf v. Long Island R. Co., 248 N.Y. 339, 162 N.E. 99 (1928). This citation allows a reader to find this specific case in printed volume sets. It also allows a reader to glean some intrinsic information about the case pertaining to time period, jurisdiction, and strength of authority. These Bluebook citations, however, were designed in a time period where published volumes existed without an electronic counterpart. Online legal information content providers such as Westlaw or Lexis used the rigid nature of Bluebook citations to create instant digital access to cited documents. Since they have large internal databases, they can assign a unique identifier to legal documents based on the intrinsic information contained in the citations. In short, the addition of unique identification allows for accurate hot linking to digital documents--a huge time saver when doing research. But what about the materials becoming freely available online? For example, many courts publish their decisions directly to the court’s website. Legal citation should also support these free legal materials by using unique and publisher neutral identifiers. The American Association of Law Libraries has proposed a citation format designed to be both unique and publisher neutral and it is being adopted by a number of jurisdictions(and covered by Bluebook rule 10.3.3). The format is year, standardized abbreviation, accession number (for example, 2011 PA Super 33). This format is also easy to read while communicating information about the decision’s year, jurisdiction, and strength of authority. It would allow for the development of online tools to search and link to legal materials freely available online and could lower the cost of legal information. But why stop there? Universal citation is just one change that should be mandated in a digital age. In an online and networked world, does it still make sense to follow the many complex and time consuming Bluebook rules that were designed for an age of print? FDsys, the Government Printing Office's Federal Digital System, reached one billion retrievals this spring. The one billionth document was a Federal Register notice from the SEC, and the single most downloaded document is PL 111-148 (the Patient Protection and Affordable Care Act), but one of the most interesting new and expanding collections on FDsys is USCOURTS. USCOURTS is a collaborative effort between GPO and the Administrative Office of the US Courts to provide public access to opinions from appellate, district, and bankruptcy courts. Opinions are authenticated with digital signatures, based on the secure transfer of files to GPO. Started as a pilot program in 2011, it was opened to all federal courts in January, 2013. Opinions go back as far as 2004, but note that earlier years are incomplete. The collection is growing nicely. In November, 2013, 64 courts participated (up from the 29 in the pilot program). As of May, 2014, 87 courts, plus the U.S. Court of International Trade, are participating and more are expected to be added this year. Although not quite half of the federal courts have voluntarily opted in, the collection is consistently one of the most used on FDsys. USCOURTS is worth trying - and definitely worth keeping an eye on - since FDsys offers free, authentic, and digitally signed PDF documents. Looking for a court not yet available on FDsys? Need older opinions? Check out the Gallagher Law Library's Free Law Online guide to U.S. Court Opinions for more information. U.S. 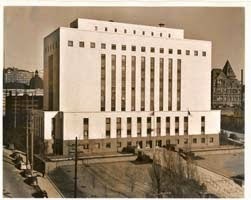 Courthouse (1941), Seattle, WA. 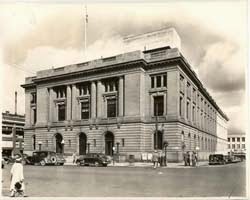 U.S. Post Office, Court House, & Custom House (1941), Spokane, WA. Spring quarter is drawing to a close and that means that the Law Library will be moving to shorter hours of operation. The last week of exams, June 9 - 13, the Reference Office will be open from 9am - 5pm. We will not be open for evening hours. The Law Library will be closed June 14 - 17, Saturday - Tuesday. June 18 - 20, Wednesday - Friday, the Library will be open from 8am - 5pm and the Reference Office will be open from 9am -12 noon and 1 - 5pm. Monday - Wednesday the Library is open from 8am - 7pm and the Reference Office is open from 9am - 5pm. Thursday and Friday the Library is open from 8am - 5pm and the Reference Office is open from 9am - 5pm. The Library is closed on Saturdays during the Summer quarter. Check out the Library Hours page for additional information. Have you heard of Strikingly? Check out this post from the NW Sidebar (the WSBA's Blog) about using it to enhance your job search. What's so special about a Strikingly site? Simplicity, clarity, and accessibility. The mobile age is upon us, and having a mobile-optimized website is more important than ever. Don't lose your visitors under the weight of a heavy, confusing website. The same goes for editing: don't stress out about micromanaging your page, and don't waste time wondering where to change something. Edit it all on one page, and get it done fast. Do you think that having your own website helps with a job search? Leave a comment below.